The spheres enter into harmony once again for an evening of exploratory guitar music in celebration of the release of Loren Connors’ Unaccompanied Acoustic Guitar Improvisations Vol. 10 LP on Blank Forms Editions. 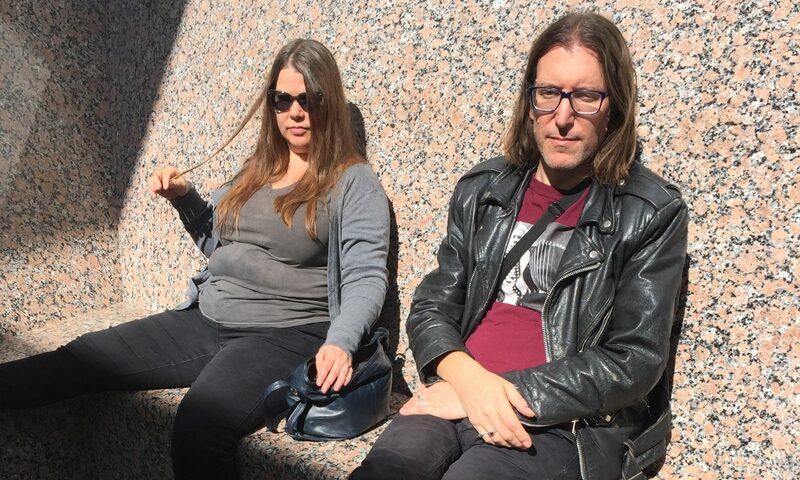 As Charalambides, Tom and Christina Carter have lived in a time of their own, conjuring hallucinatory visions of introspective drone song from guitar and voice since their 1991 formation in Houston. Part of a rich Texas tradition of exploratory music, the former husband-and-wife duo’s pioneering free-folk melds southern gothic, high lonesome balladry with an American primitivist take on minimal improvisation, all driven by desolate, late-night twin guitar telepathy. In the ‘90s, the homespun intimacy of their sprawling urban blues found a notable home with maverick lo-fi label Siltbreeze Records, for whom they—with the addition of Jason Bill—delivered three records of lysergic songcraft embellished by disturbing found recordings and esoteric tape experiments. In 1996 Charalambides were featured alongside Loren Connors, Flying Saucer Attack, Roy Montgomery, Jessamine, and Bardo Pond on Harmony of the Spheres, a classic document of psychedelia intended as “an arrangement of the contents of the gospels, designed to show their parallelism, mutual relations, and differences.” In the 21st century, the band signed to Kranky and teamed up with pedal steel guitarist Heather Leigh Murray for a series of howling, feedback-laden excursions into oceanic space before paring back down to their current duo configuration with a subsequent return to more pastoral folk incantations. Charalambides’ forthcoming self-titled double LP on Drawing Room Records will be their first in 7 years and is promised to entwine their various approaches into a raw, fragile, wordless, and hypnotic whole.